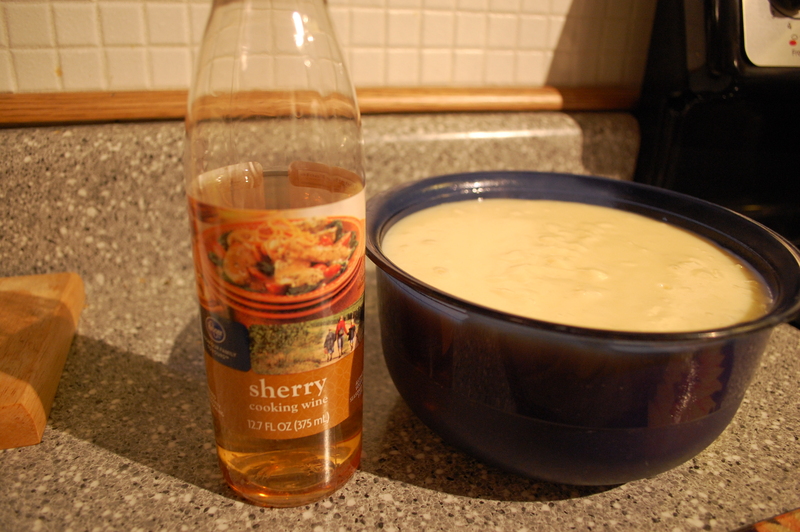 I’ve had a notion for quite a while now that I’ve wanted to try making a vintage bread pudding. It must be all the cold weather we have endured here because, to me, bread pudding sounds comforting and warm. It’s also one of those dishes that I’ve spotted in nearly every vintage cookbook I’ve bought or browsed-so the hardest part of picking which recipe I would recreate was sorting through all the possibilities! Beautiful, easy, simple, and frugal. Bread pudding is a frugal dish and, according to Foodtimeline.org, dates to Medieval times. It was probably created by frugal cooks who didn’t want to waste even a few slices of bread, no matter how stale it was. So they soaked it in milk, stirred in some fat and eggs and something sweet, and baked, boiled or steamed the whole concoction until it was ready to eat. 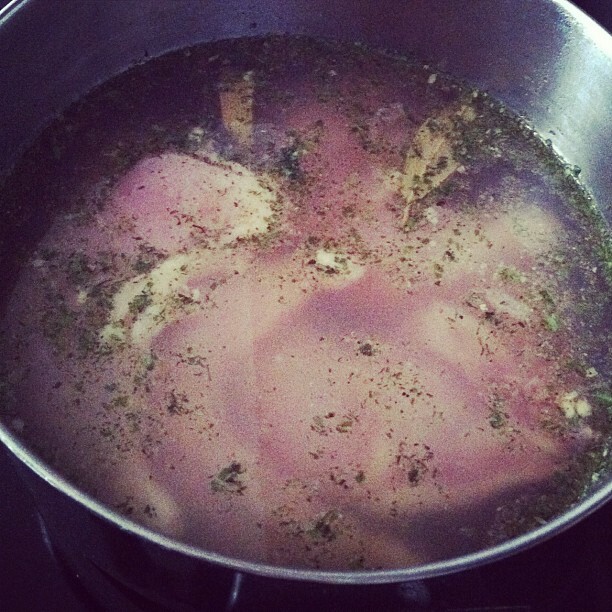 There are so many variations of the recipe that you could probably make one a day for a year! First boil your milk, then add the bread. 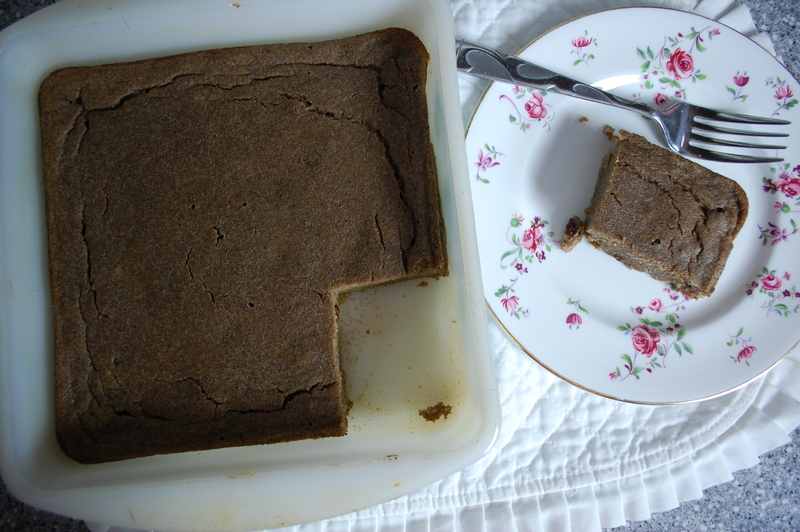 I finally landed on this recipe, which was originally printed in a book called Compleat Housewife by Mrs. E. Smith, published in Williamsburg, Virginia in 1742. It’s a baked version, super easy to mix up, and it’s wonderfully flavored by the addition of real, grated nutmeg. If you’ve only ever used nutmeg from a jar, you don’t know what you’re missing. The difference between jar nutmeg and grated nutmeg is akin to the difference between dried basil and basil fresh from the garden. It’s so fragrant and wonderful! The unassuming nutmeg. 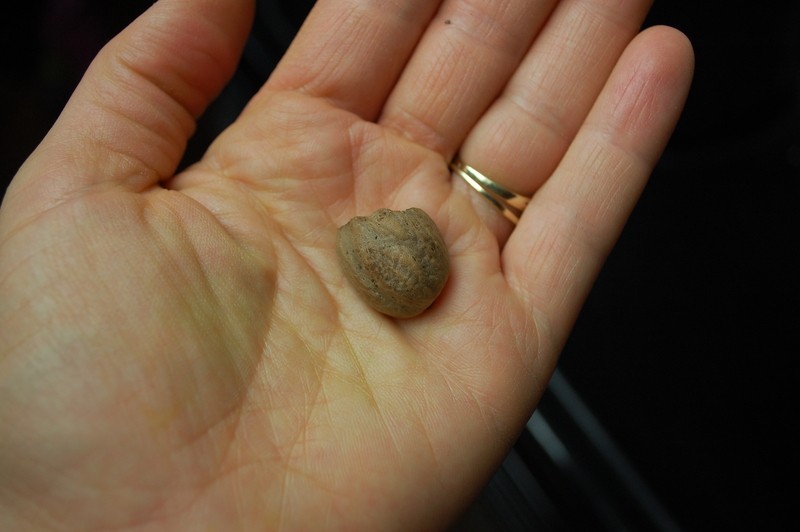 It doesn’t feel soft, but a zester will work just fine to turn this boring looking gem into fragrant nutmeg! The milk, bread, butter, eggs, sugar and nutmeg. It’s ready to be baked! 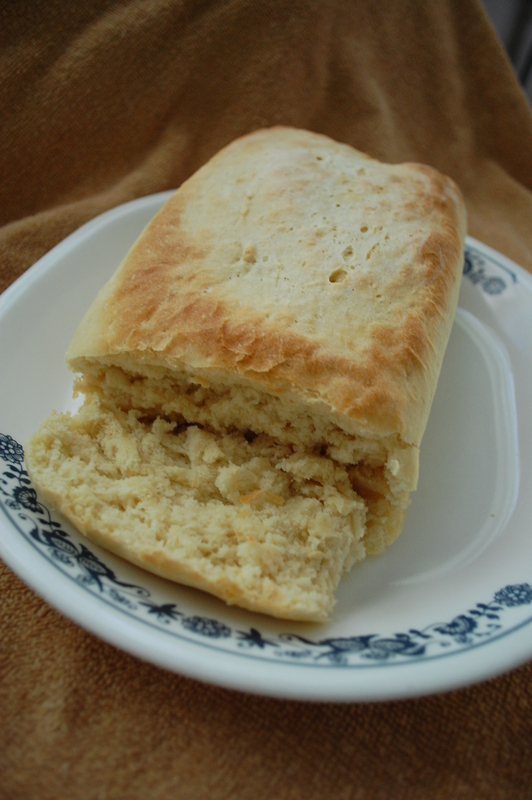 You can use any kind of bread to make this-even leftover buns! I used half a loaf of gluten-free bread. The bread really provides the structure but the taste is hidden by the spices, eggs, and butter. 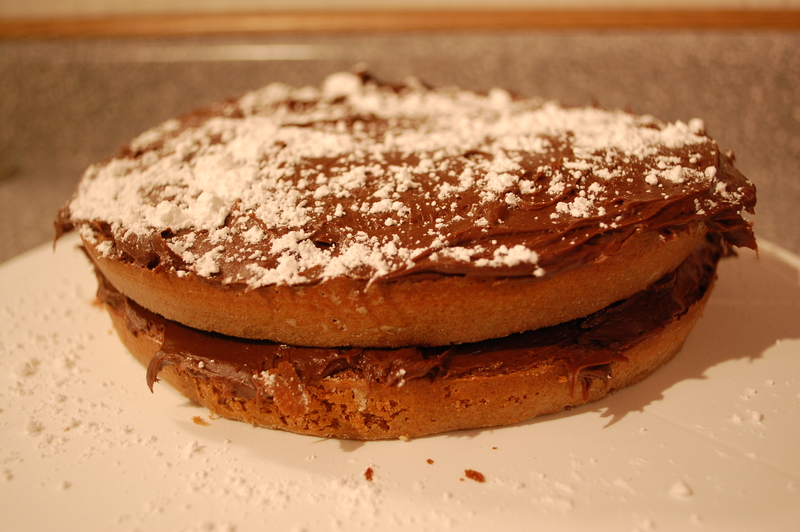 It makes a great dessert-cover it with glaze or jam if you like, sprinkle it with sugar, or eat it plain with tea. Preheat your oven to 350 degrees and coat an 8 x 11 inch baking pan with cooking spray. 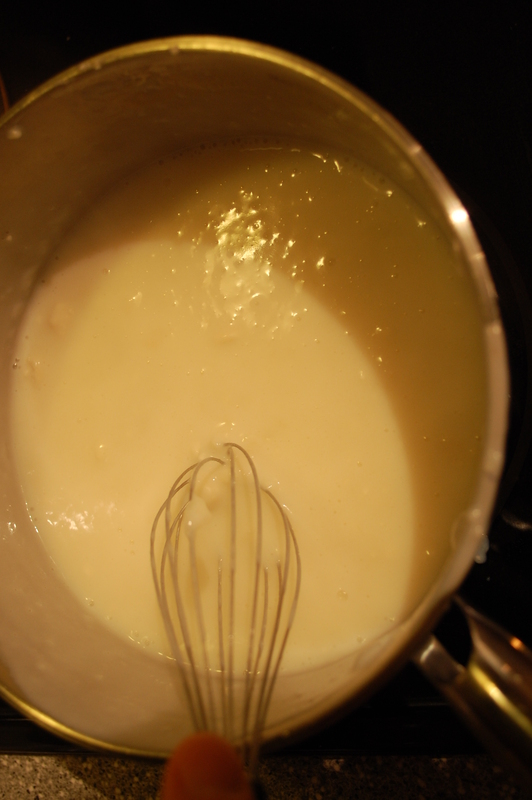 Place the milk in a heavy saucepan and bring it to a boil. 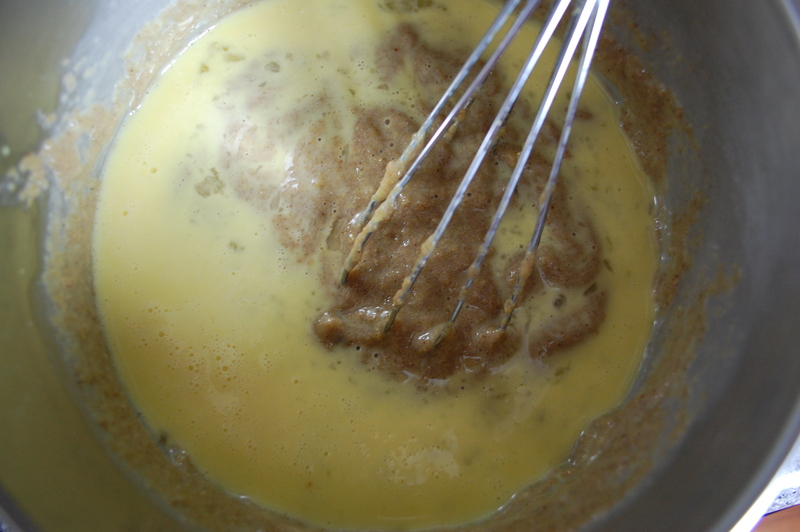 Add the bread, eggs, nutmeg, sugar and butter and stir it until well combined. Pour the whole mixture into your greased pan and bake for 35 minutes or until the pudding gets a brown, caramelized look to it and is bubbling around the edges. Bring it out of the oven and let it cool for 10-15 minutes to allow it to firm up a bit and then enjoy! 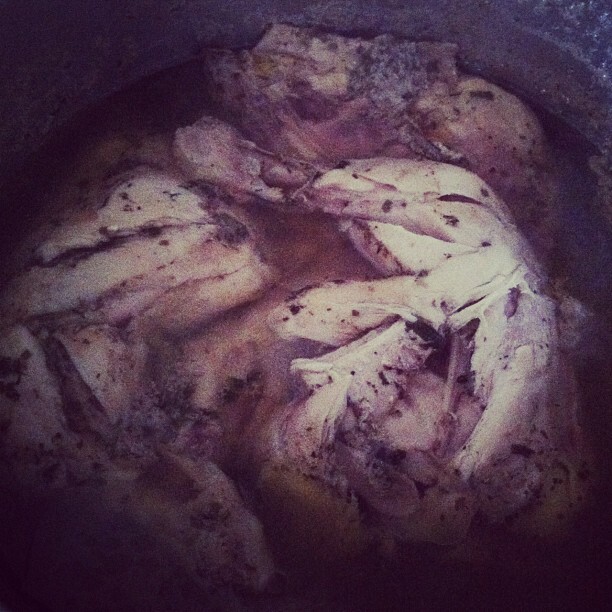 How it looks after it cools. Time to slice it up! In my search for holiday recipes, I went back to one of my favorite blogs written by the cooks in Colonial Williamsburg’s Historic Foodways. The cooks at the museum and historic site spend every day translating the food of Colonial America into an understandable recipe that can be recreated in any modern kitchen. 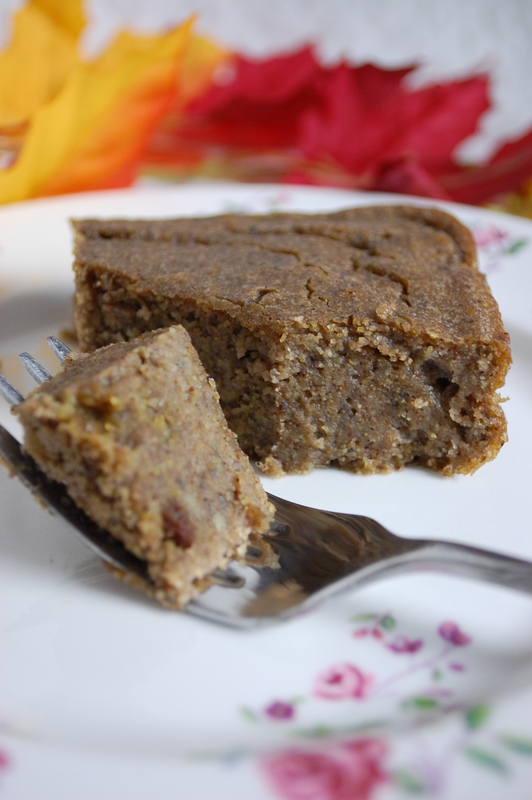 Indian pudding is a descendant of hasty pudding, transformed by the early American colonists by substituting corn meal for the wheat. The settlers called corn meal “Indian meal”, since they learned to cultivate it from the Indians. Looking through their recipe index, I stumbled across a great recipe for “A Nice Indian Pudding”, first published in Amelia Simmons American Cookery in 1796. 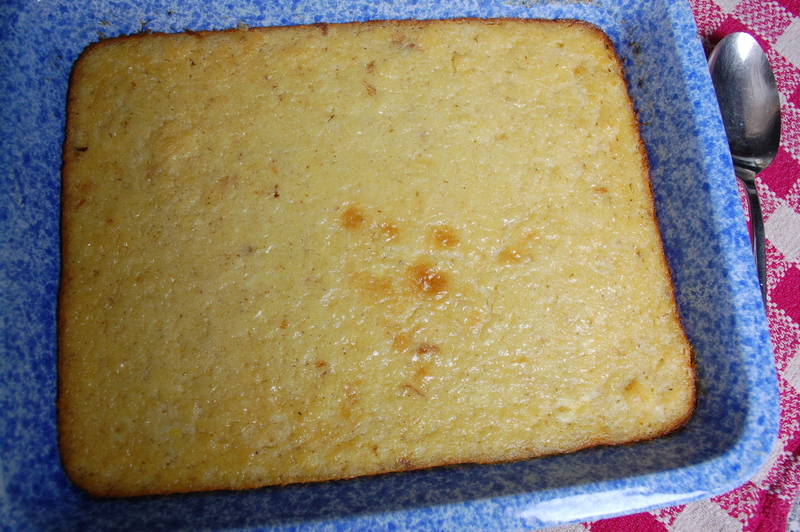 It’s basically a fancy sweetened cornbread. There’s even a video to help you learn to make it! This beautiful variation is hearty, like a bread pudding, and would make a great and unexpected side dish at your holiday meal. It’s got a dark color and beautiful spices to give it that lovely fall flavor. Coincidentally, after I’d written this blog, I heard more about Indian Pudding and it’s deep historical ties to New England history on an NPR podcast. You can read the transcripts and see more photos of Indian pudding by visiting their website. I had to laugh when the reporter mentioned the color of the dish-it does not look terrible appetizing, for sure, but I find it makes a really delicious and hearty breakfast served warm with a bit of whip cream and a drizzle of maple syrup or honey over the top! Preheat your oven to 360 degrees. Heat milk over medium heat. 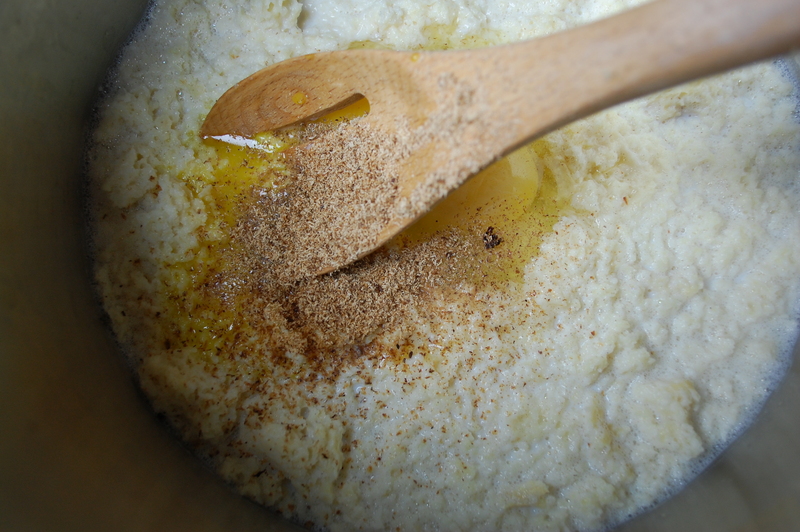 Remove from heat and slowly add the cornmeal, stirring it in a little bit at a time with a whisk. 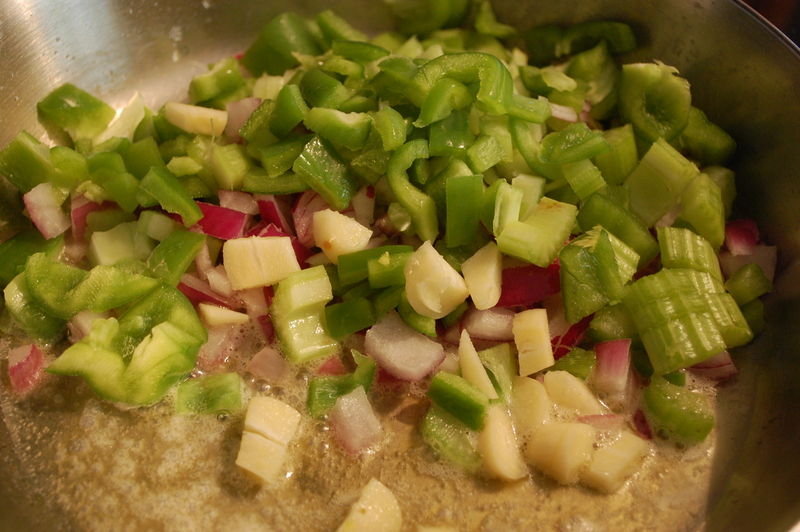 Once it’s blended, put the mixture back on the burner and cook it until it’s fairly thick, stirring constantly. 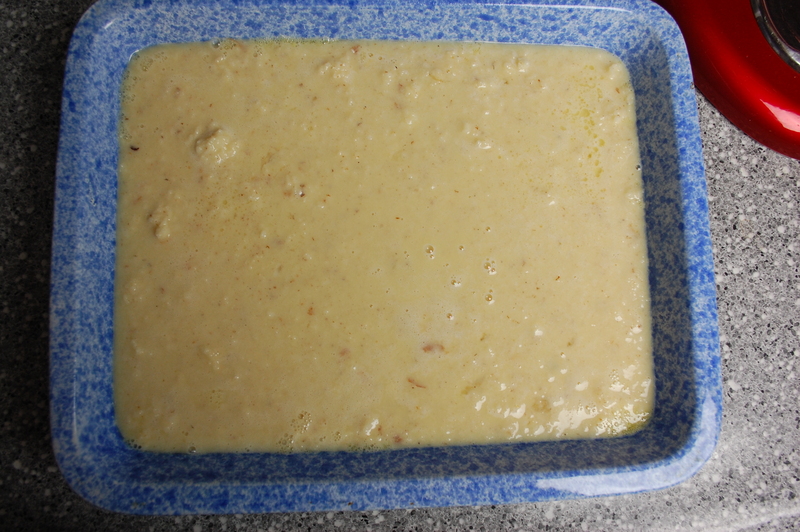 The thickened cornmeal that is the base for this dish. 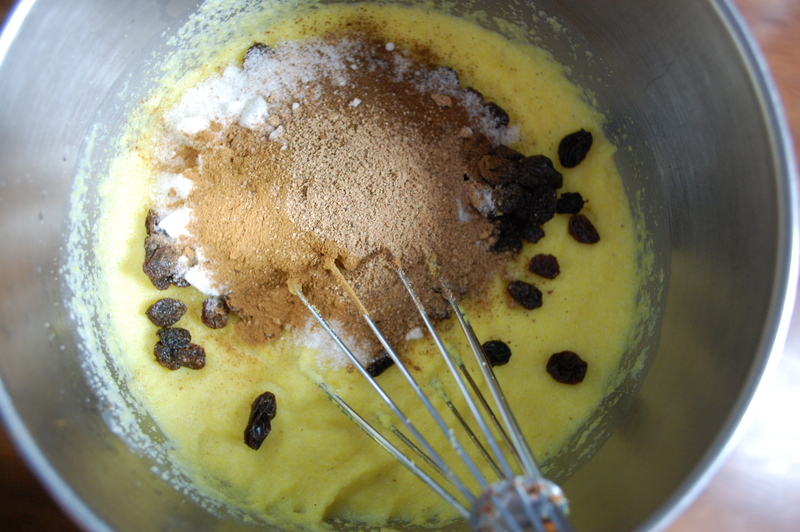 Remove from heat and add the raisins, sugar, spices and butter and whisk them all together until well blended. Adding the sugar and raisins and spices. 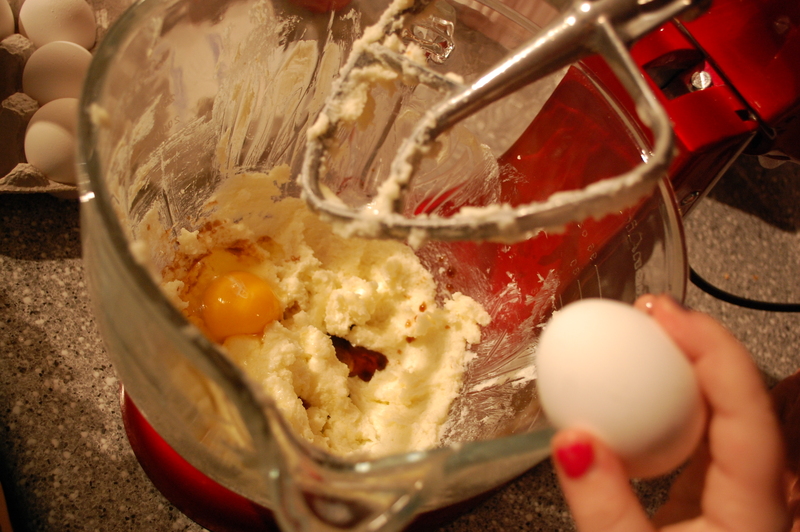 In a mixing bowl, whisk the eggs well and then add the cream into the eggs and whisk until well blended. 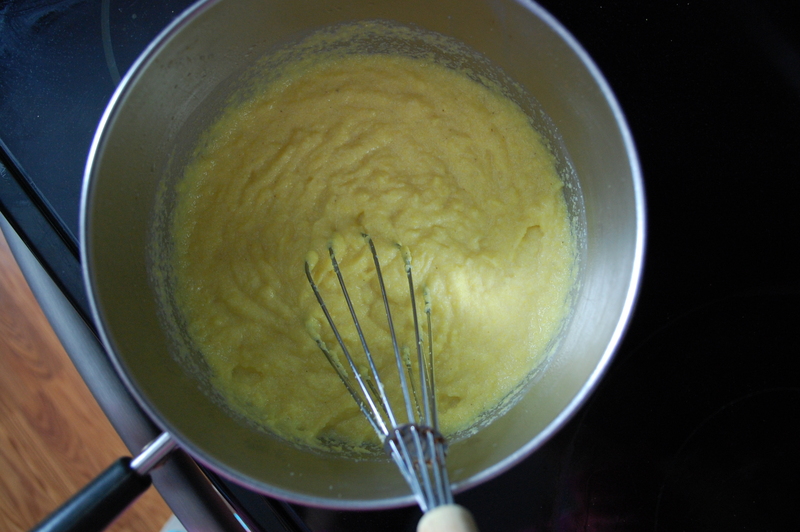 Add this egg/cream mixture to the cornmeal mixture and blend thoroughly with a spoon. 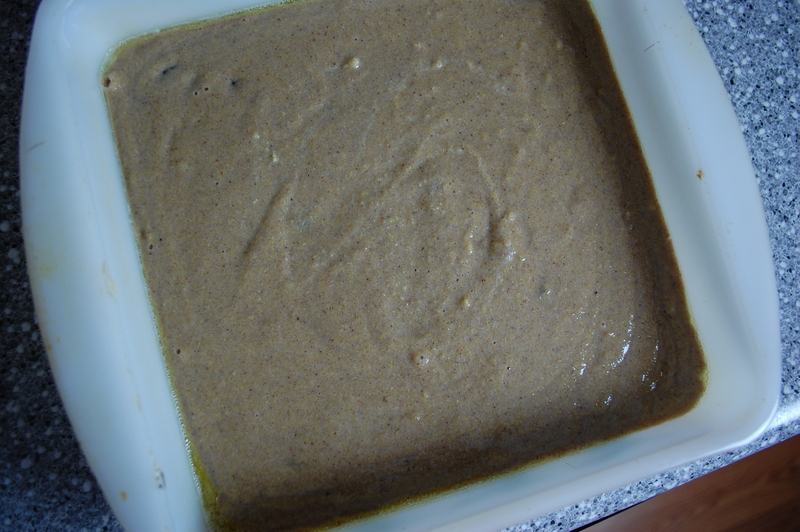 Pour the mixture into a greased 9 inch pie plate or an 8 inch square casserole dish. Bake for 30 minutes or until a toothpick test comes out clean. I wish I could convey the delicious smell through the computer to you! Now that I’ve made the former first lady’s peach preserves, I needed some bread to enjoy it! 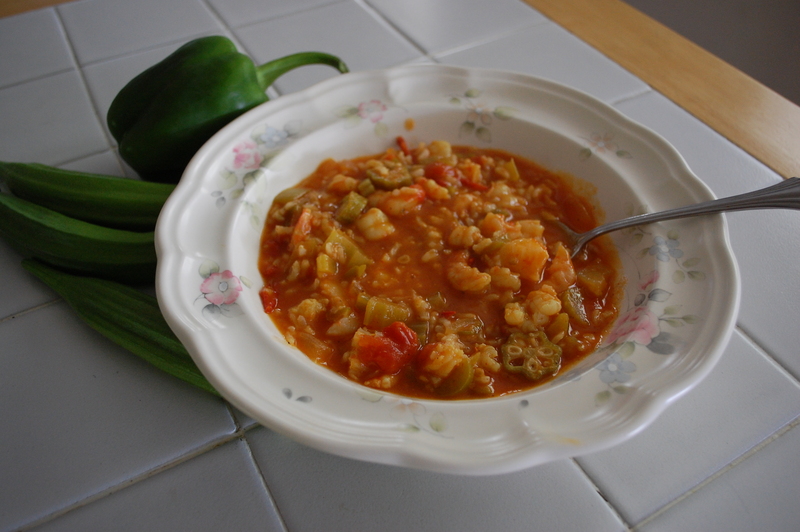 I chose this recipe, again from the Martha Washington’s Booke of Cookery for the fun explanation that came with it, courtesy of the transcriber, Karen Hess. Hess spends quite a bit of time explaining the difference between English bread, French bread, and the English version of French bread! It’s a fascinating read but it basically boils down to ingredients-and an emphasis on a soft loaf with a soft crust. I was also drawn to the idea of using beer to activate the yeast! It just sounded fun and as Hess points out, in the days before Fleishman’s jarred variety, yeast was usually the by-product of the beer making process. We’re coming full circle! The hardest part of making this recipe was the measurements. You’ll remember that in Martha’s time, baking for the week was done on one day so making 12 loaves of bread was a necessity, whereas I really only wanted two loaves. 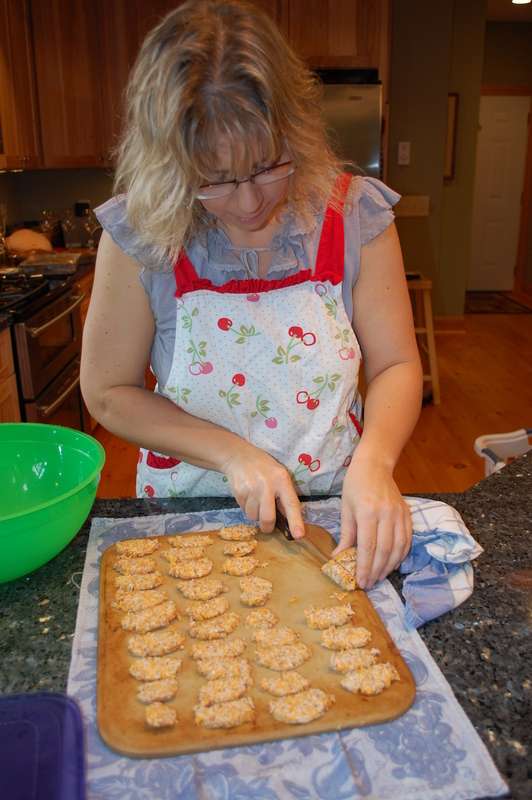 I also did not punch down this recipe and let rise a second time, as Martha does not include that step in the process. The bread is a soft, dense loaf with a soft crust. It freezes very well and makes the most excellent grilled cheese sandwiches! The best part is that Martha specifically instructs you to do NO KNEADING! 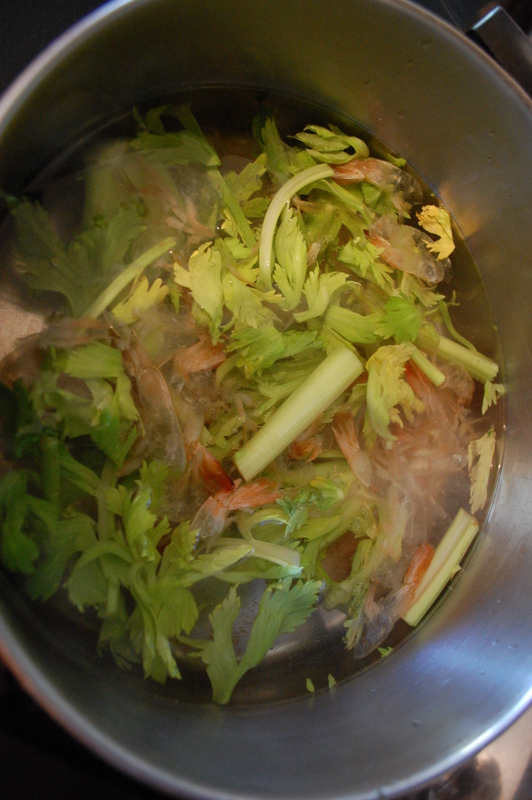 Take a gallon of flowre & put to it a little salt, a pinte of ale years, a quart of new milke heated, but not too hot. Poure these into ye flowre, & mix them with one hand, you must not knead it at all. 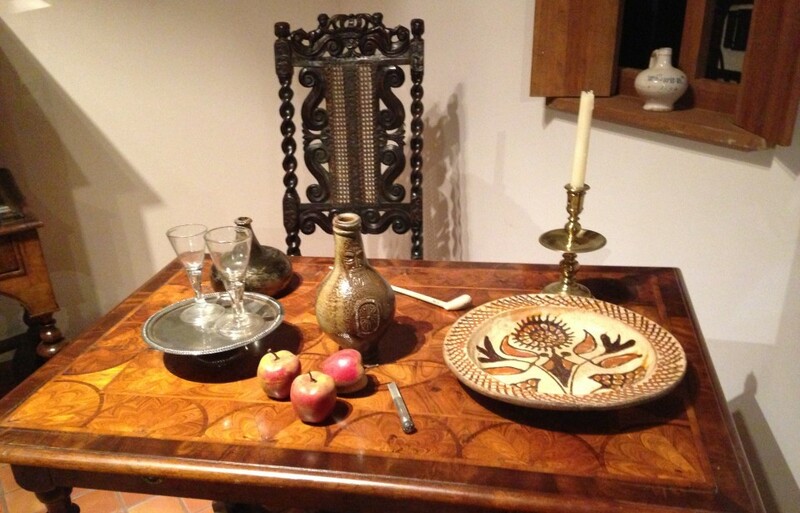 You heat a woolen cloth and poure your paste on it, flower ye cloth, & lap it uup. You make it into a dosin of loves & set you on a peele, flowred, & lay a warm wollen cloth on. Your ovene must be allmoste hot when you mix your bread. Heat your oven pritty hot, & chip your bread when it comes out. A peele is a baker’s wooden paddle. Lap it up means to fold it over. Hess says the instruction about having your oven at a certain temperature before mixing the bread was put in because in Martha’s day, it took as long as two hours to heat an oven to the appropriate temperature for making bread. 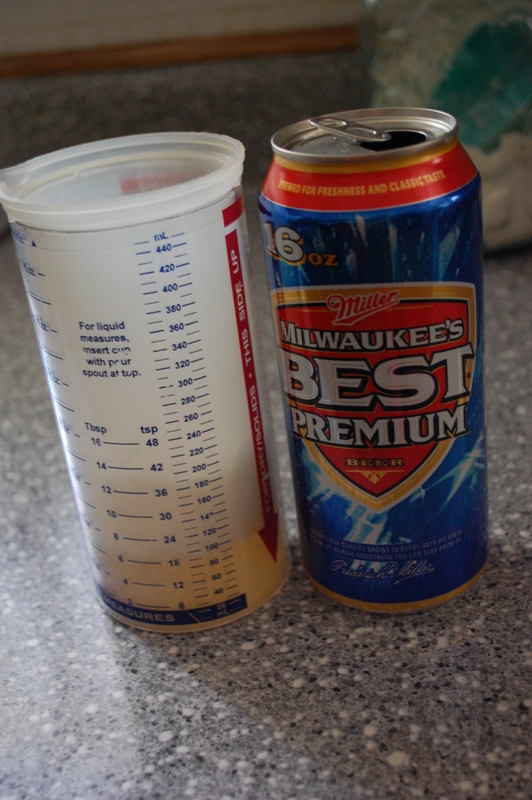 Mix the yeast into the beer and let it sit 10 minutes until the mixture is foamy. 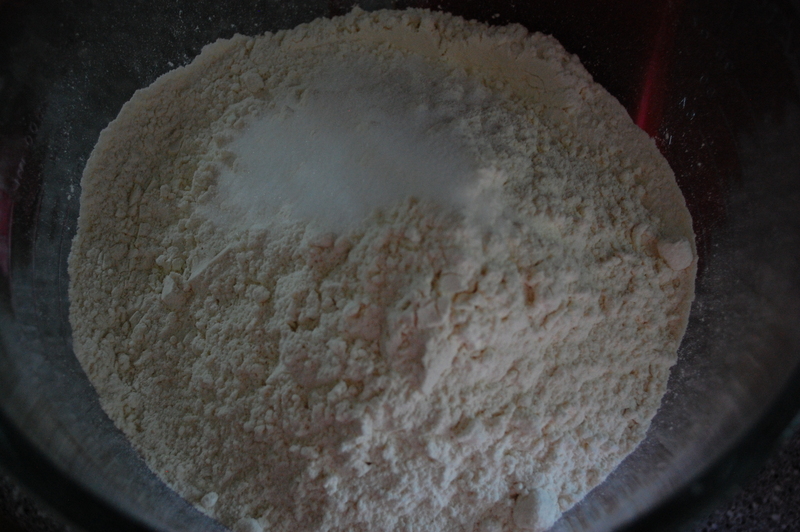 Meanwhile, sift the salt into the flour and put dry ingredients into large mixing bowl. If you have a stand mixer, attach the dough hook. I’m not a beer drinker, except the occasional craft beer. I bought this to drown the slugs in my garden. Don’t judge. 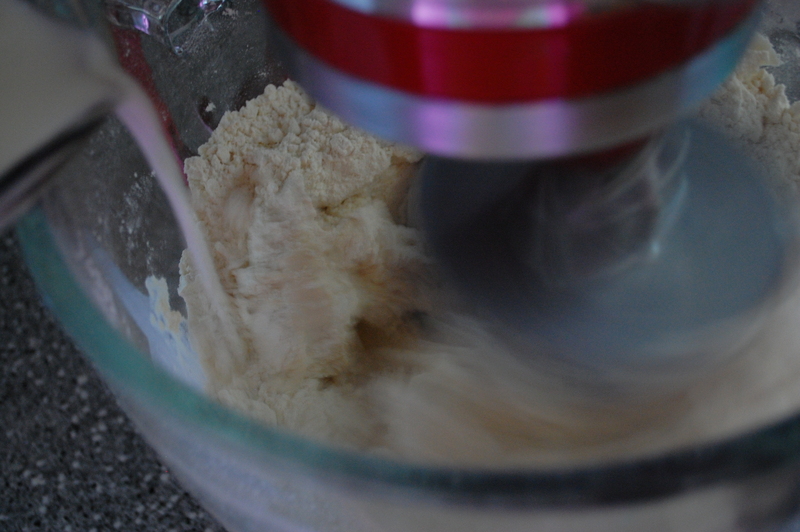 When the yeast is ready, add it to the flour, turn on your mixer and then begin to slowly add the milk. You may not need all 2 cups depending on the weather and the moisture in your kitchen-on the day I made my bread, I only used a cup and a half. You want to add just enough that the dough stops sticking to the sides of the mixing bowl and forms a smooth-looking mass. 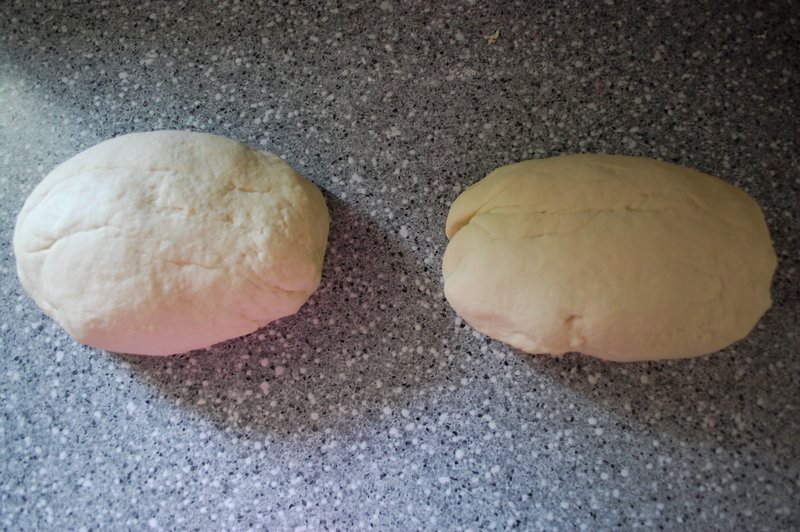 Don’t knead the dough any further. You know what’s hard? Adding milk to dough and taking a photo! Take it out and divide it into two halves. 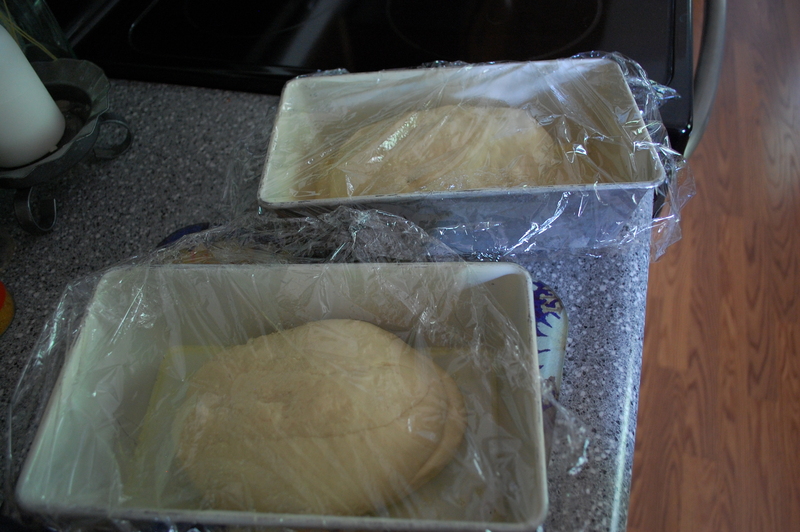 Place each half in a greased loaf pan and cover it very loosely with a piece of saran wrap that’s been sprayed with cooking spray so the dough doesn’t stick to it as it rises. Set it in a warm place to rise until it’s about double in size. Heat your oven to 450 degrees. 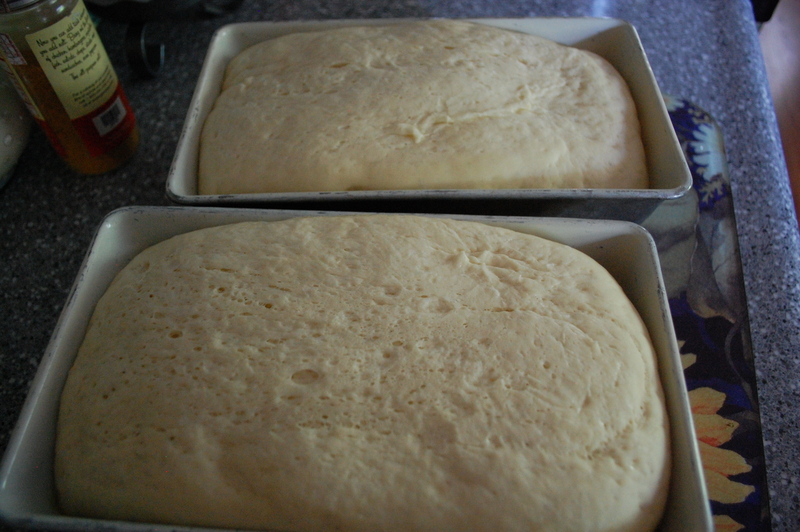 Bake the loaves for 15 minutes or until they are golden brown on top and baked through. Pass the butter or jam! The drinks served at a holiday gathering are just as important as the food-a great drink can be a memorable compliment to the meal. 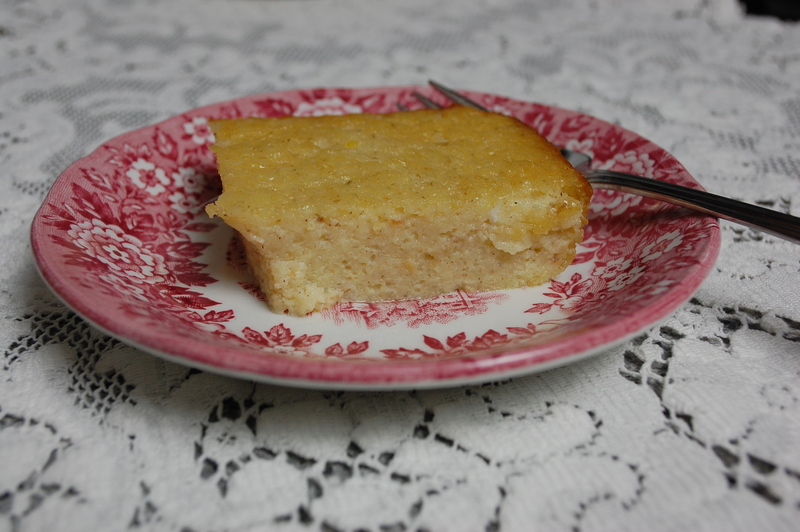 There’s a lot to love about this recipe from the Colonial Williamsburg cookbook. 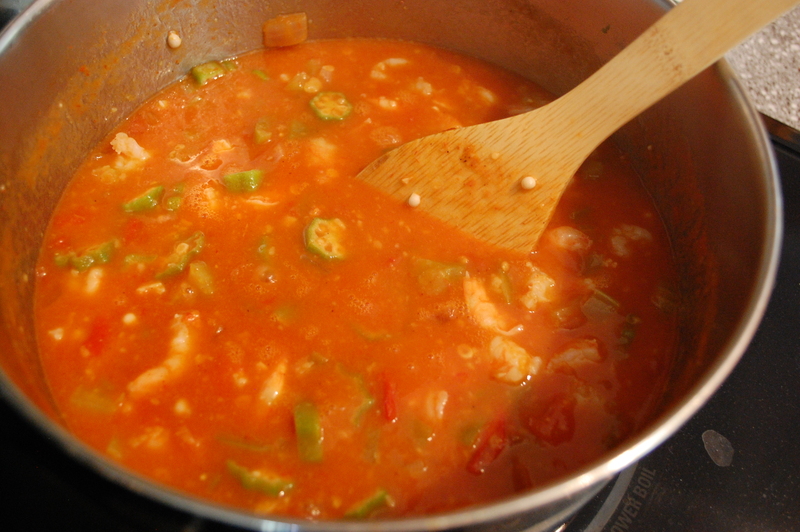 It’s super easy, it’s delicious, and it can be adjusted to suit partakers of alcoholic beverages! Simply leave the warmed pot of punch on low on your range with a ladle and a pretty decanter of brandy or rum nearby and invite guests to mix! 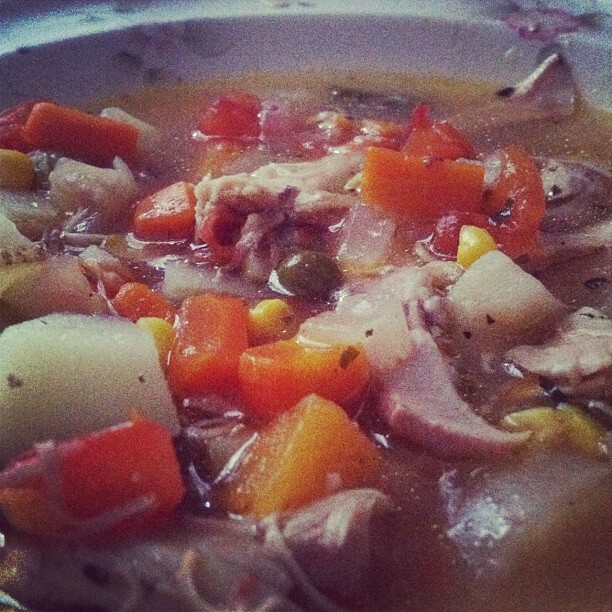 I incorporated this recipe into my Vintage Dinner menu. It makes about 16 mugs of punch. 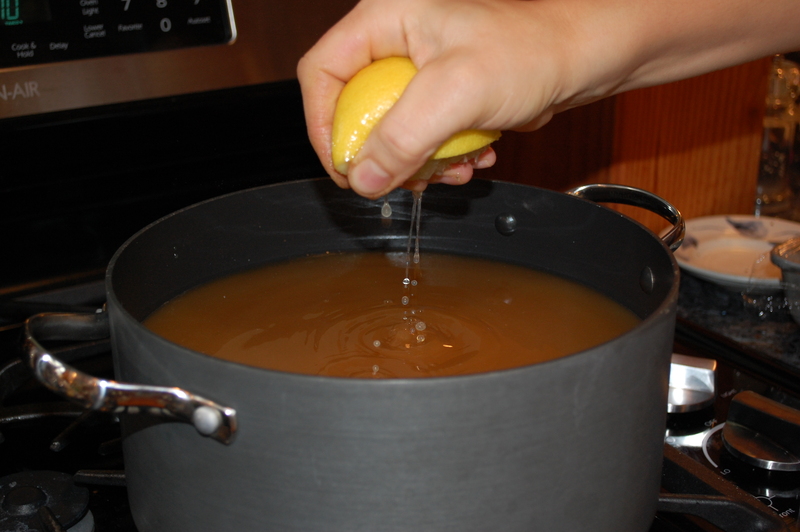 Pour the cider into a large pot. 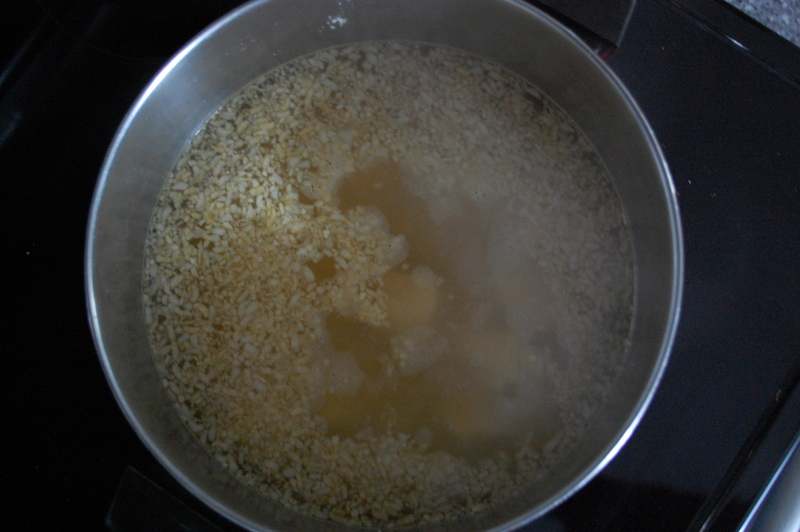 Add the cinnamon sticks and lemon juice and simmer for 15 minutes. I happened to have fresh lemons so I just squeezed the juice of a whole lemon into my cider. 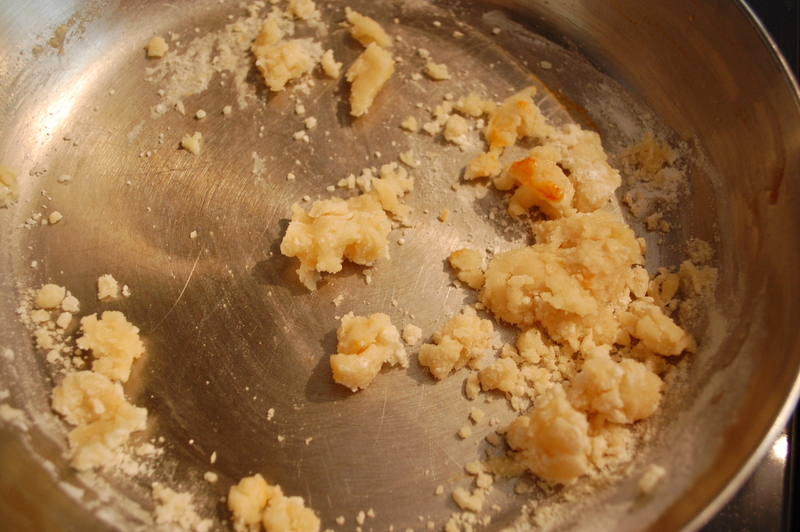 Tie the nutmeg and cloves in a small piece of cheesecloth and put into the simmer cider for about another 15 minutes. 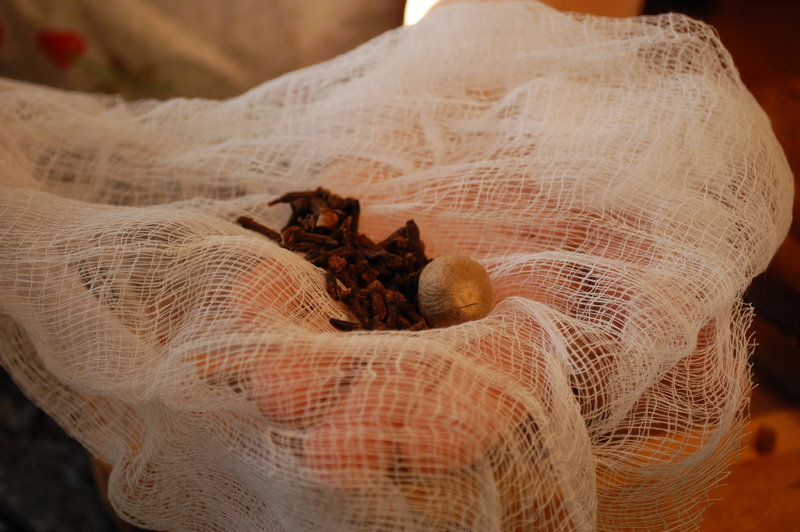 There is nothing better than fall spices like nutmeg and cloves. 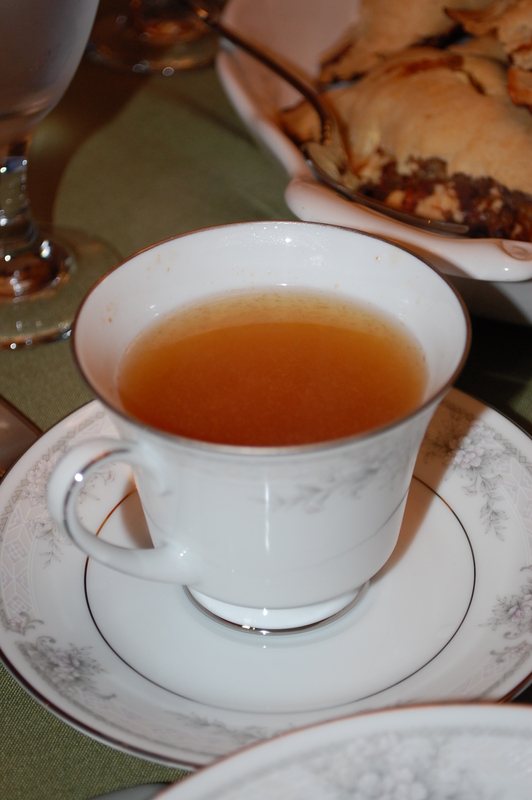 This recipe will make you want to dress up every gallon of cider you buy! Do me a favor-the next time you’re asked to bring an Hors d’Oeuvres to a party or family gathering, stay calm-and pull out this recipe. 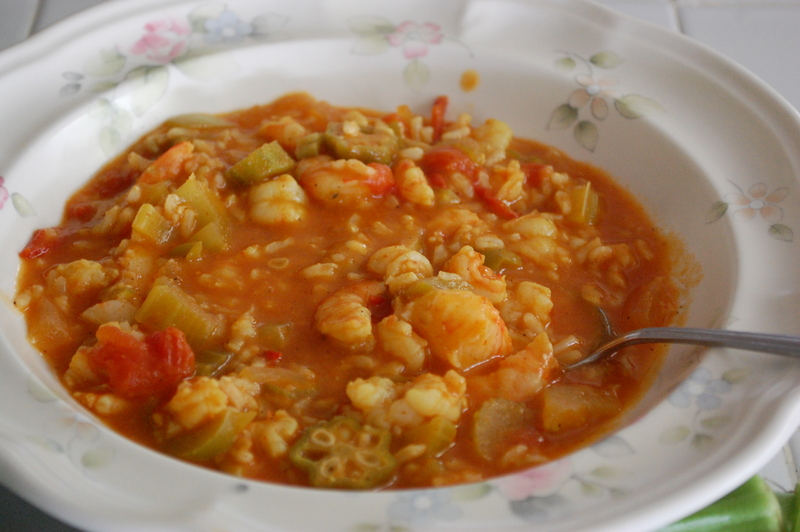 It is scrumptious and super easy, and just unusual enough to be a conversation piece. I served this as an appetizer at my recent vintage dinner party and it went over well. 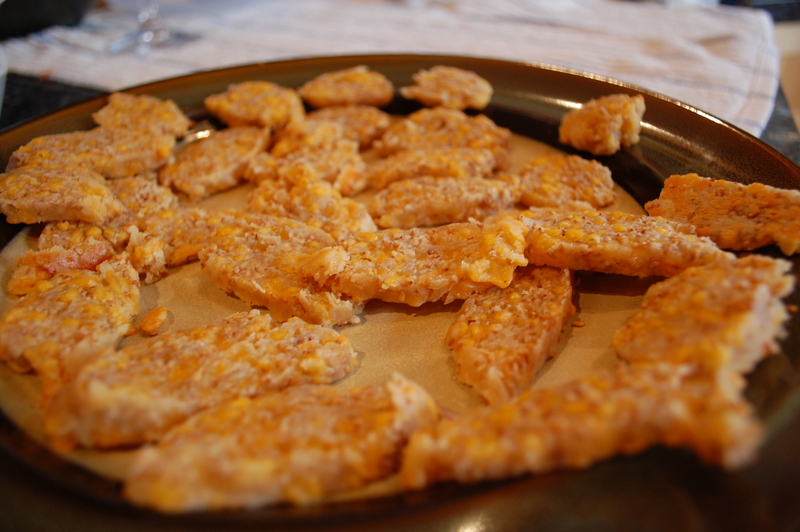 The recipe makes about 3 dozen cheese wafers. 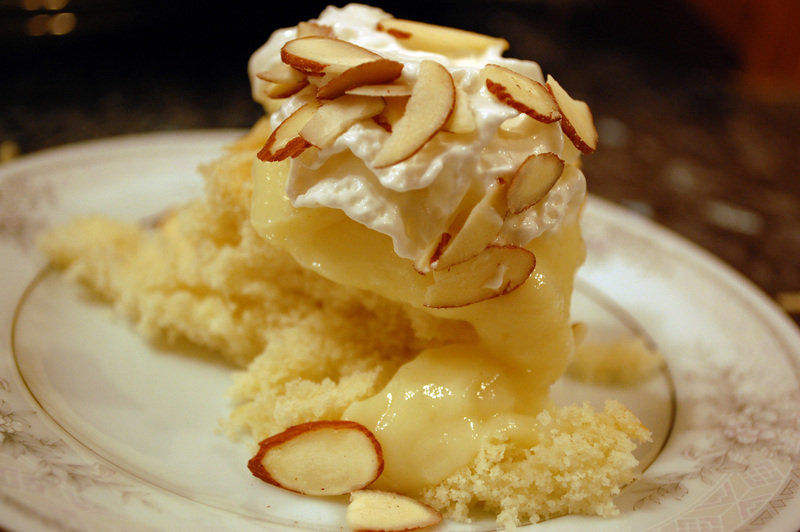 It can be found in the Colonial Williamsburg cookbook. 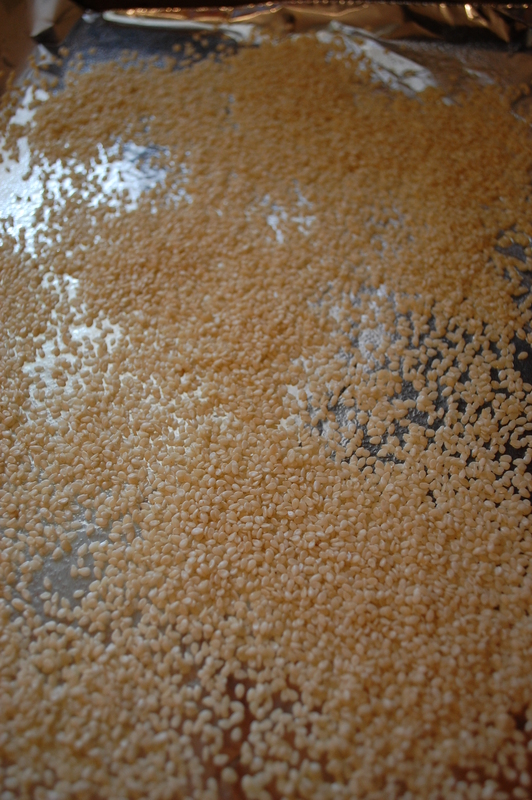 If your sesame seeds are untoasted, follow the instructions on the packet for toasting them and set aside to cool. Toasting the seeds is easy. I greased a piece of foil on a cookie sheets, spread the seeds and baked them 350 degrees for about 8 minutes. 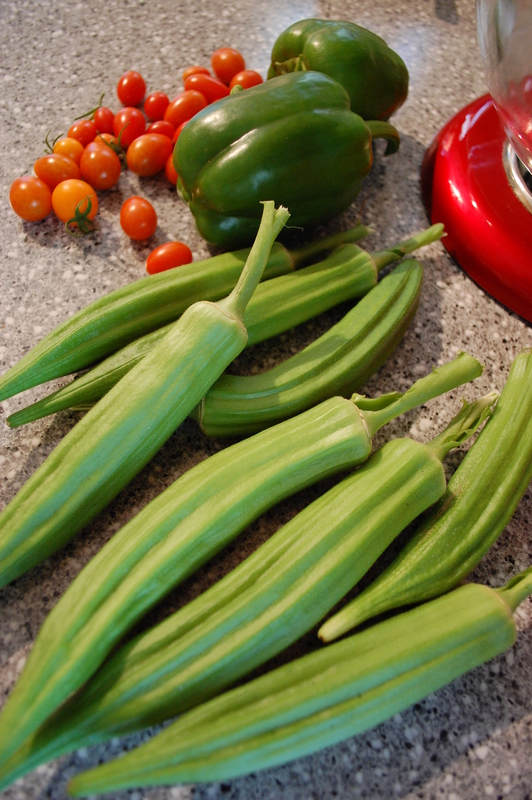 When the seeds are ready, combine them with the rest of the ingredients in a large bowl. Work into a smooth dough. Divide the dough in half, making 2 rolls about 8 inches long and 1 ¼ inches in diameter and put them in the refrigerator to chill. Right before they go into the frig. When firm, preheat your oven to 400 degrees. 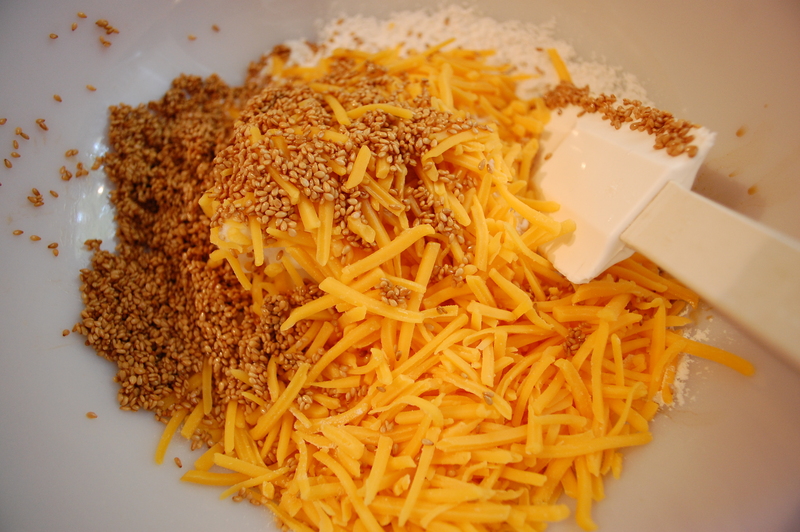 Slice the cheese rolls into wafers about ¼ inch thin, or as thin as you can slice them. I baked these on a stone-my first experience with one! Place on greased cookie sheet. Bake for 10-12 minutes or until cheese is slightly melted and wafers feels slightly crisp to the touch. Allow to cool and place on pretty plate for presentation. Enjoy! 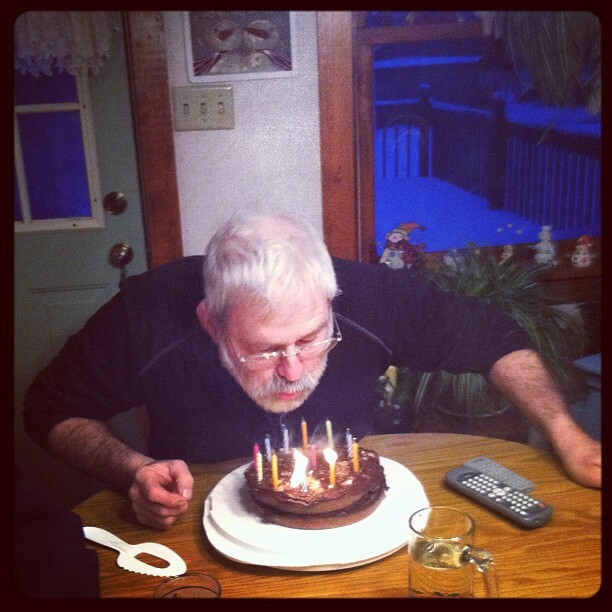 My dad recently celebrated his birthday. I wanted to bake him a cake. 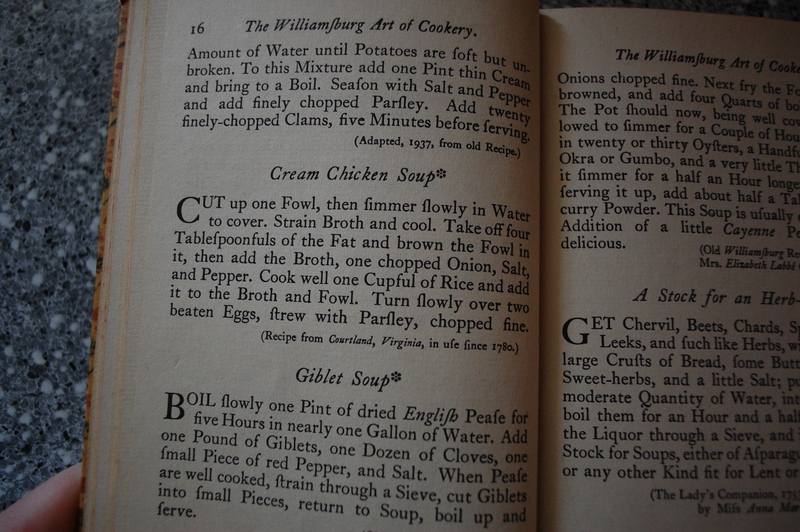 That’s the simple explanation for this creation, which came from the Colonial Williamsburg cookbook once owned by my mother. I did some research and it appears that no one really knows why one version of chocolate cake goes by the name “Devil’s Food.” I believe that it has something to do with the inclusion of chocolate-that devil master! But my dad loved it… and that was the point. Preheat the oven to 350 degrees. Grease and flour two cake pans. Heat one cup of milk, the chocolate, and ½ cup sugar in double boiler or heavy saucepan, stirring constantly until smooth. Set aside to cool. 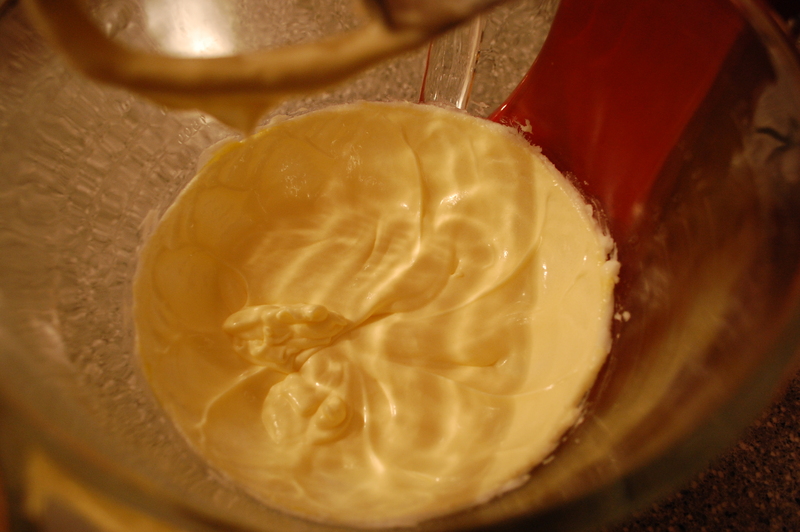 Cream butter and remaining sugar in large bowl or electric mixer. 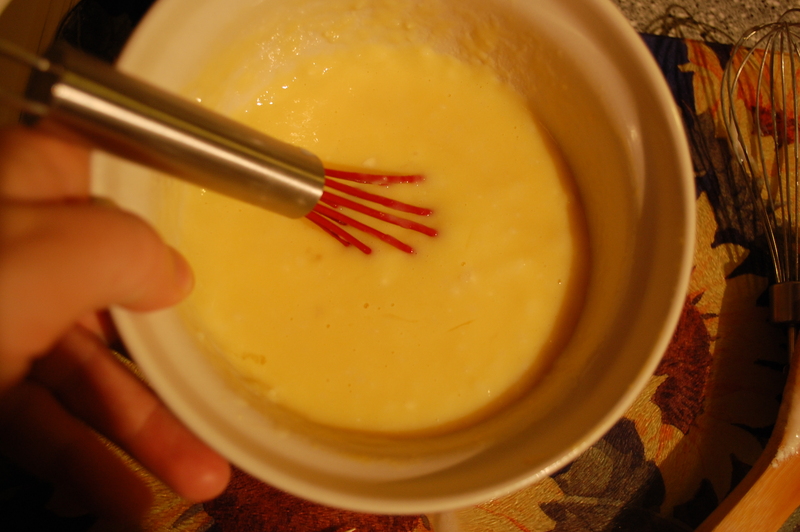 Add vanilla and eggs and beat well. Beat in cooled chocolate mixture. 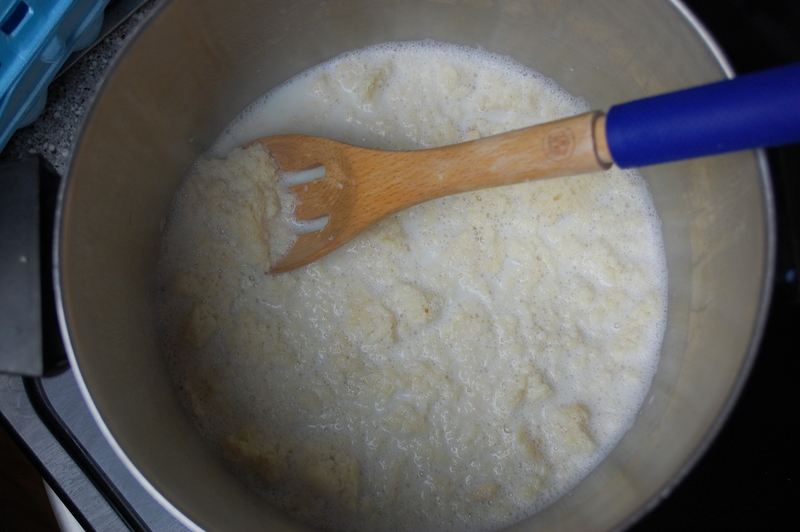 Sift salt with flour and add alternately with remaining milk, then beat the whole mixture 2 minutes at medium speed. 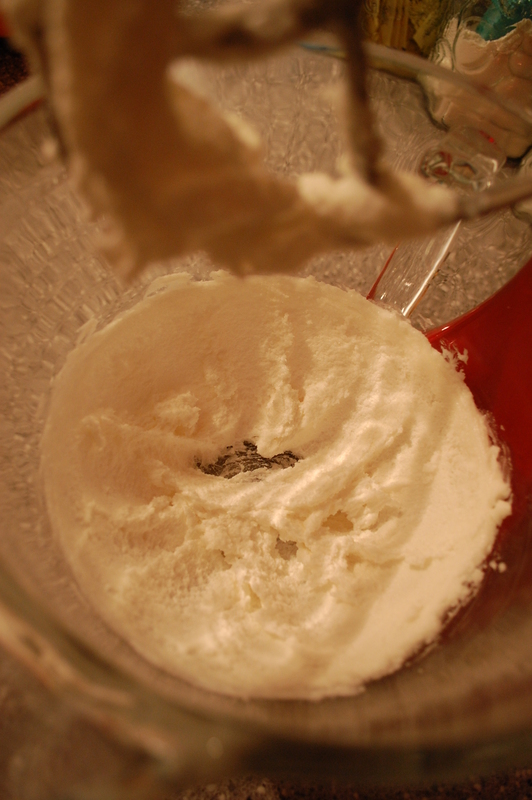 Meanwhile, dissolve baking soda in three tablespoons of boiling water. Add the baking soda and beat one minutes longer. 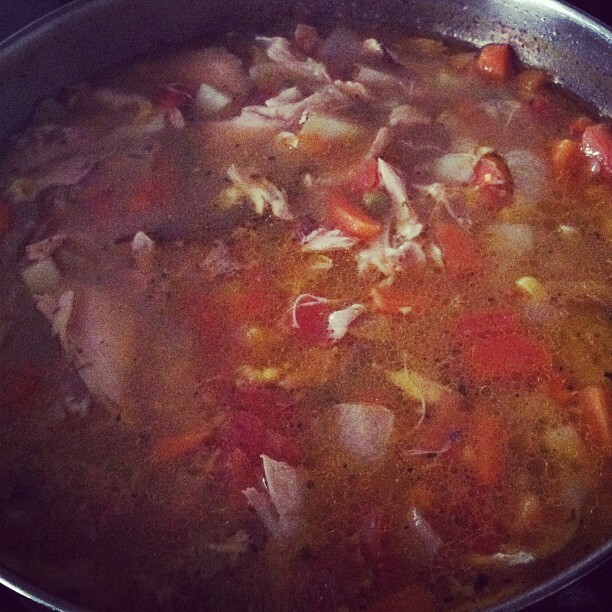 Pour into pans. 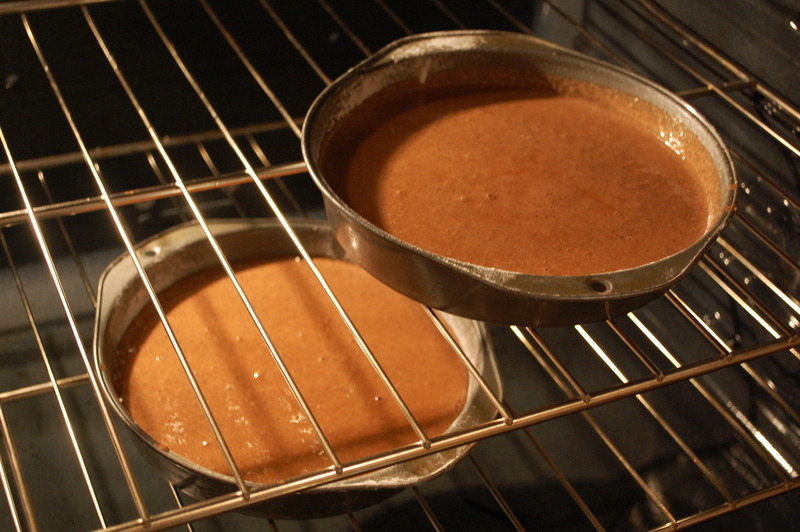 Bake for 25 to 30 minutes or until cake tests done.